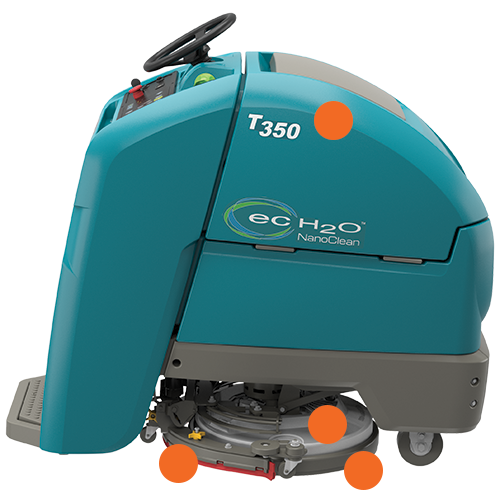 Clean large facilities with tight corners and obstructed spaces quickly and easily with the maneuverable T350 Stand-On Scrubber-Dyrer, and enjoy category-leading productivity rates. 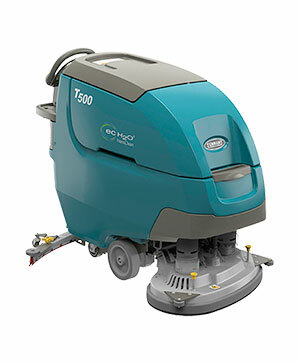 Clean faster and longer with category-leading productivity rates exceeding 2.500 square meter per hour. Reduce the risk of slip-and-fall accidents and ensure so​ils are removed from the floor with optimized squeegee design and recovery system. 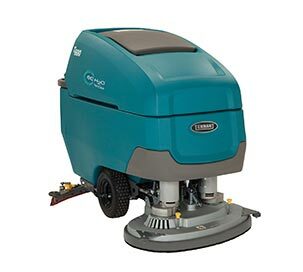 Floor Care from Tennant provides cleaner, smoother, brighter floors that improve light reflectivity and enhance the image of your facility. 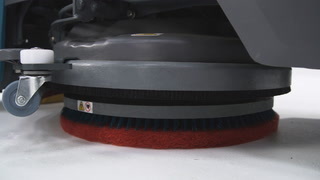 The squeegee is one of the most critical parts on your T350 scrubber-dryer. Only genuine TennantTrue® squeegees are designed specifically to fit with your T350 machine to deliver exceptional liquid collection and pick-up for optimal cleaning performance. The correct fit helps reduce downtime and service calls, lowers labor costs and puts money back into your business. 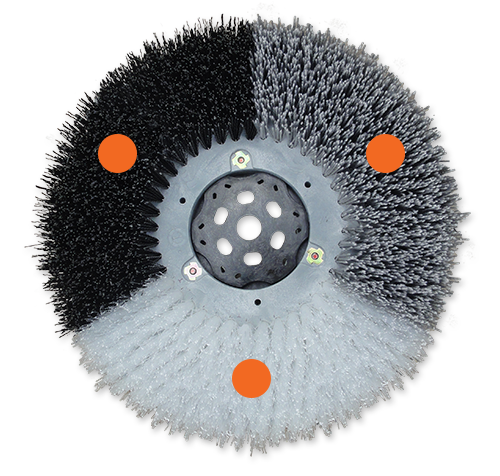 Achieve better performance while lowering costs associated with rework, labor, safety and maintenance by using genuine Insta-click® magnetic brushes, specifically designed for your T350 machine. Don’t settle for less - choose TennantTrue® brushes! Optimal performance for your T350 depends on Planned Maintenance. Rely on Tennant’s factory-trained service network for unmatched knowledge and expertise to maintain your machine and keep downtime to a minimum. 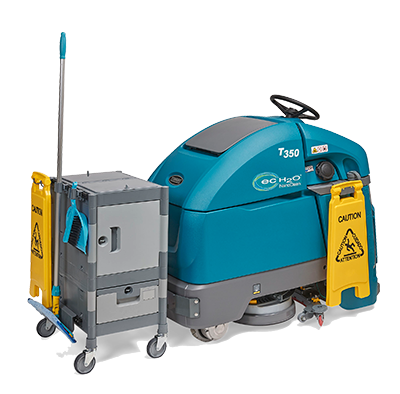 Tennant T350 with Click-Cart™ allows floor cleaning professionals to bring the tools and equipment they need to quickly clean virtually any soil, anytime, anywhere. Optimize cleaning shifts by having more cleaning tools readily available. 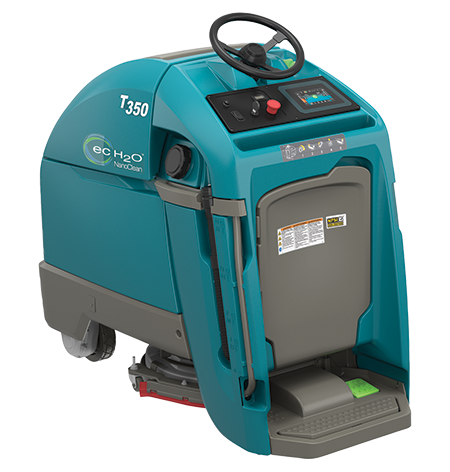 Enhance the image of the facility by rapidly cleaning emergency wet and dry spills. 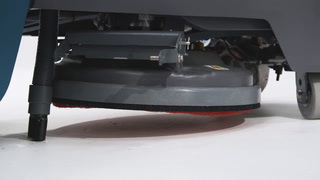 Efficiently clean floor and non-floor surfaces. Save time by eliminating long walks to the janitor closet to collect the right equipment. 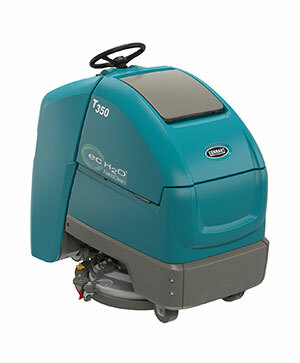 Easily perform small maintenance tasks on T350, like emptying the debris tray or cleaning the squeegee blades. 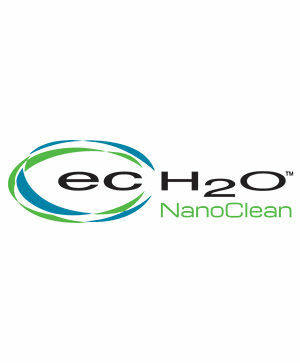 Reduce water consumption up to 70% and disposal of cleaning detergents into the waste stream with ec-H2O NanoClean™ technology.